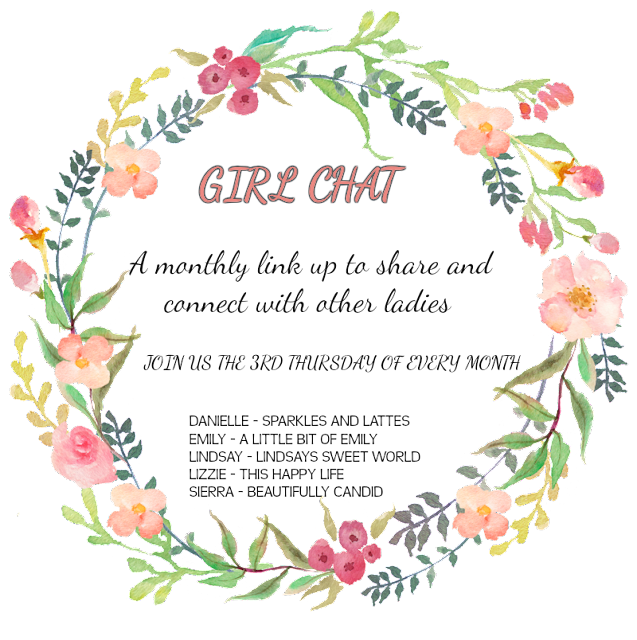 Today is our monthly Girl Chat linkup and we're talking Fall Bucket Lists!! I absolutely love fall, it's definitely my favorite season. Here's a list of things I hope we can do this season - I'm not being too ambitious because things seem to be crazy with school and the kids' activities, but there are still several things I hope we do! I am sure lots of fall bucket lists will look alike but maybe I'll get some inspiration for something new to do! Don't forget to follow your hosts too! What is a thankful tree? That sounds like it would be fun in November. I forgot to add roasting pumpkin seeds...those are always soooo good! I love your list! 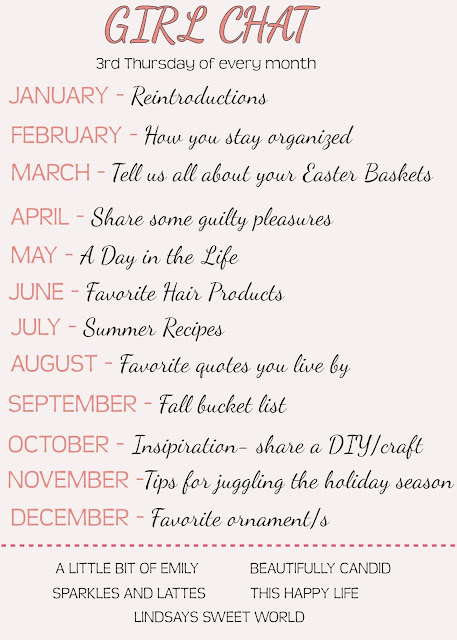 I'm definitely getting inspiration from all the lists posted today and plan to post mine tomorrow! 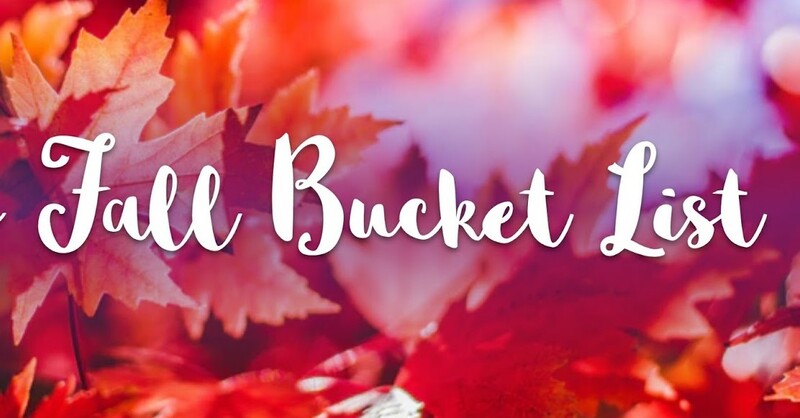 Love your list, especially the thankful tree idea! Ohhhh s'mores!!! Yes, that sounds so good! I wish I had a place for a fire pit! What a fun list! Isn't fall just the best time of all? We are doing a Hocus Pocus movie night, too! I'm SOOOO excited! I bought Hocus Pocus so I can finally watch it. I have never ever seen it before. We used to make a thankful tree each fall and I just loved adding to it with my boys each day. I miss that now that they're older.